Welcome to an exotic seven-day dream cruise filled with gastronomic delights. Imagine waking up on a different ship in a new port of call every day, and treating your taste buds to a gourmet meal every evening, each carefully prepared by one of the best chefs afloat. 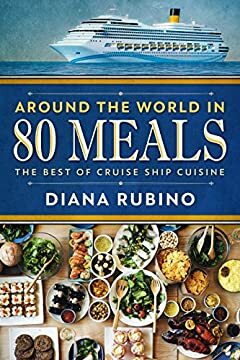 This book highlights the most interesting menus and recipes from a diversity of cruise lines, from the luxurious Cunard Line - famed for its opulent ocean liners - to a small but highly exclusive line of yachts that offer the most personalized cruise experience. You'll see daily snapshots of a week of luxury cruising. A chapter for each day briefly introduces each ship, explains where it is located, and gives information about each cruise line and its chefs. The main focus is on the dinner menu, followed by recipes for recreating every delectable morsel in your own kitchen. ????? - "A must-have cookbook for the true cooking enthusiast." ????? - "I was amazed at how easy it was to prepare the recipes, even though they look and taste as if many hours went into their preparation." ????? -"Interesting historical information, and recipes that weren't as full of exotic ingredients as I had feared. If you can't spare the expense of an on ship experience, you can still take a ' flavor cruise' with some of these recipes."